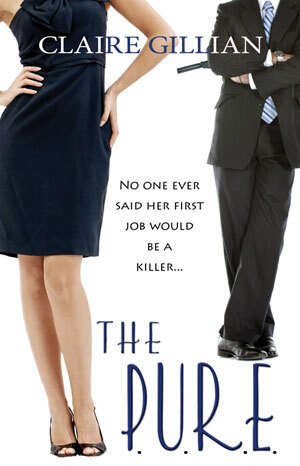 I have a three-pronged post today, all having to do with my recently released novel, The P.U.R.E. First up is P for “purged” backstory. This is a deleted scene from The P.U.R.E. It’s referenced in the final product (now available for sale at Amazon.com and Barnes & Noble) but this is the scene as originally written nearly three years ago (unedited). By way of setup, heroine Gayle is a brand new employee at a public accounting firm. Unassigned staff are fair game for being tapped to run menial errands for the firm’s partners. Such is Gayle’s lot in this backstory that was ultimately cut. After circling around Oak Cliff, a not so charming part of town, I stopped for directions at a 7-11 and asked the surly clerk in a bulletproof cashier’s cage for directions. She looked at me like I had two heads but gave me good enough directions to get me to the cleaners within the hour. I was pretty sure she didn’t get too many white girls in Brooks Brothers’ suits in that particular store. I bought a bag of Cheetos and a Diet Coke while I was there because I hadn’t had any lunch yet. Of course, Turner hadn’t given me enough money to pay the full amount and I didn’t have my checkbook so I had to leave and go find an ATM to get some cash and then return and fork over $5 of my own money. My precious cargo was an evening gown, a very beautiful one, in a size 0. Only in my dreams. I had better luck finding the Turner’s home. I buzzed the guard at the gated community to let me in at almost 2:30 PM. Another fifteen minutes elapsed before I eventually located and turned into the Turner’s cul-de-sac. I passed a large black Mercedes that pulled out of their driveway right before I pulled in. I couldn’t see the driver because of the tinted windows but I hoped it wasn’t Mrs. Turner leaving before I could drop off her dress. A petite blonde woman in her 30’s answered the door, talking on her cell phone. She took the dress from me and then shut the door in my face. I took that as my no nonsense cue to return to the office, mission accomplished. “Wait a minute! You! Stop!” I turned to see Mrs. Turner walk toward my car, dress in hand. “Yes?” I replied smiling, naively expecting a “thank you”. “No, ma’am. I came straight here. It’s been hanging in my back seat since I left the cleaners. “Look at this! There are orange smudges on the hem.” She shoved the dress under my nose. Dear God, please tell me I didn’t get Cheetos dust on this woman’s dress. I looked where she pointed her French manicured fingernail and there were indeed two faint parallel streaks of orange near the hem. I curled my orange stained fingers into my palms to hide them. I began to apologize and offered to have it re-cleaned but she cut me off. “Ack, what kind of morons are they hiring at ABC these days? You can’t even do something as simple as pick up and deliver a dress?” She caught a glimpse of something over my shoulder and paused for a second. Whatever she saw, it made her change tacks because she wrapped up her tongue lashing with, “For God’s sake! Just go! I can’t deal with this kind of nonsense now! I climbed inside my little Honda and drove away in disgrace. I hoped I still had a job when I got back to the office, assuming I found it before quitting time. 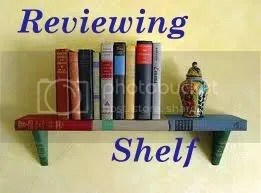 author of the Reviewing Shelf blog. Pragya was kind enough to interview me and is holding a raffle for a free e-copy of my book, The P.U.R.E. The giveaway runs until April 25th so head over to Reviewing Shelf to read and enter. Now, enough about me. Please be sure to visit more A to Z Blog Challenge participants today! Here’s where you can find their names and link to their blogs. The topics are endless. Congrats again on The PURE’s release, Claire! I don’t think she got Cheetos on the dress. I think the cleaners messed up. But I suppose I’ll have to read the book to find out if that’s the kind of character this girl is. It sounds like an interesting story. Congratulations on the new book. Better go on over to register for the raffle! Thanks for visiting! I like to think she’s innocent because I know she really was quite careful and conscientious, but… Good luck with the raffle.